Students with previous musical experience who would like to major in music may do so with either a Bachelor of Arts (BA) or a Bachelor of Music (BM) degree. The BA degree provides students with a general foundation in music and requires the study of a foreign language. The BM degree requires that students specify a track of study of performance, music education/teacher certification, or composition. The performance track is further specialized in instrumental, vocal, or piano. The teacher certification track, which qualifies students for All-Level State Certification to teach music in early childhood through twelfth grade, is further specialized in instrumental, string, or choral. The School of Music offers instruction in the following applied areas: bassoon, clarinet, euphonium, flute, guitar, harp, horn, oboe, organ, percussion, piano, trumpet, trombone, tuba, saxophone, string bass, viola, violin, violoncello, and voice. We also offer a Bachelor of Music in Music Therapy. 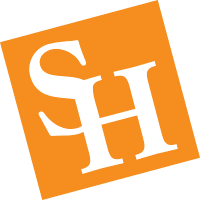 In addition to SHSU admissions requirements, prospective students must pass both a School of Music audition and meet other admission requirements. Fall auditions are held in February and March. Spring auditions are scheduled on an individual basis. View the Bachelor's Degree in Music brochure (.pdf).